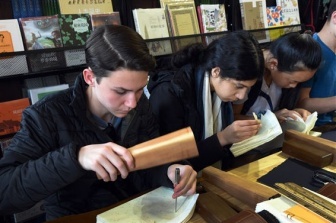 An ongoing exhibition of the works of Jin Shangyi showcases his prodigious talent, Lin Qi reports. Jin Shangyi, 85, is one of the most popular home-grown oil painters in China. And through the decades he has painted portraits from a wide social spectrum, including farmers, workers, teachers, singers and doctors. 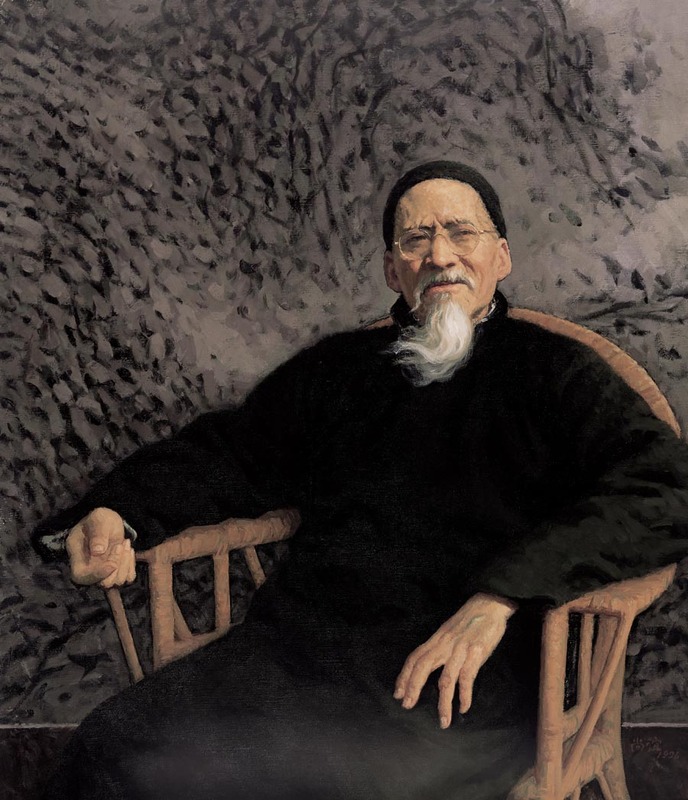 His works demonstrate the Chinese understanding of oil painting, which was introduced to the country by European missionaries more than 100 years ago. Also, Jin is seen as the pioneer of a movement called neoclassicism, which began in the 1980s in which he has introduced the simplicity, tranquility and depth of Chinese aesthetics. And by doing so, he has guided viewers to appreciate the beauty of oil painting infused with the emotions and mentality of ordinary Chinese, evoking a touch of intimacy. To make his works more accessible to viewers, Jin donated 35 of his paintings to the National Art Museum of China in Beijing on Friday. The donation ceremony also marked the opening of his third one-man exhibition at the same venue. The exhibition, which runs through Sunday, showcases a selection of portraits and sketches from the donation and also a donation in 2008 that included 39 paintings. "Why am I doing this (making donations)? It is simple. Being an artist, I think art museums are the best destination for my works," Jin says. "Also, I take great interest in the development of the National Art Museum of China. And I value its existence." He says art museums saw a late start in China and it was not until 2010 that the construction of public art museums, some founded by private institutions and collectors, had boomed. 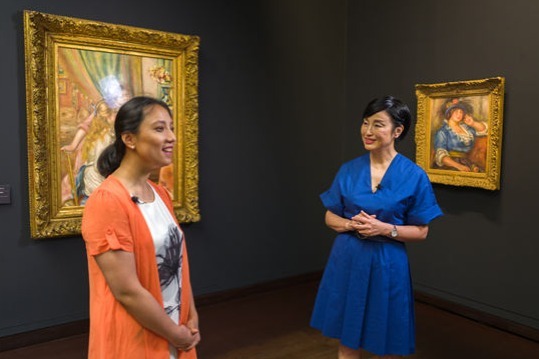 "In light of this development, I hope to donate my works as a contribution to Chinese art museums," Jin says. 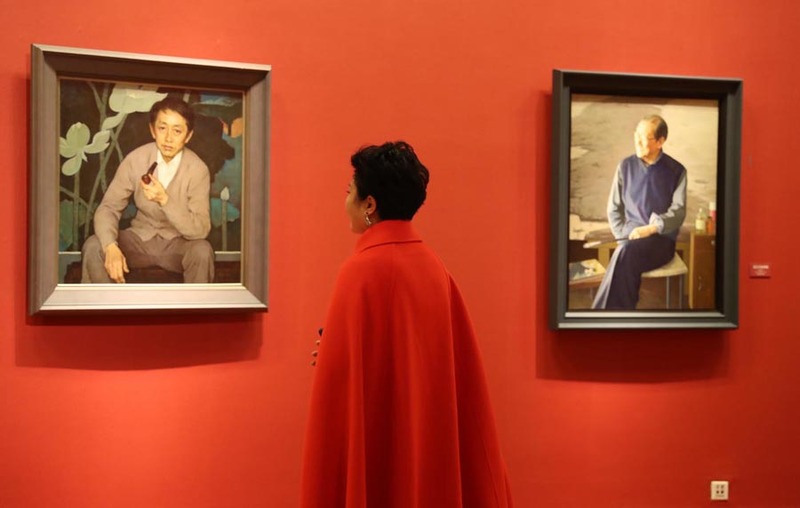 The ongoing exhibition showcases some of the most iconic portraits from Jin's output so far, as the man in his 80s still endeavors to paint. And the works offer close contact with several "faces" which are featured in books, magazines and catalogs. 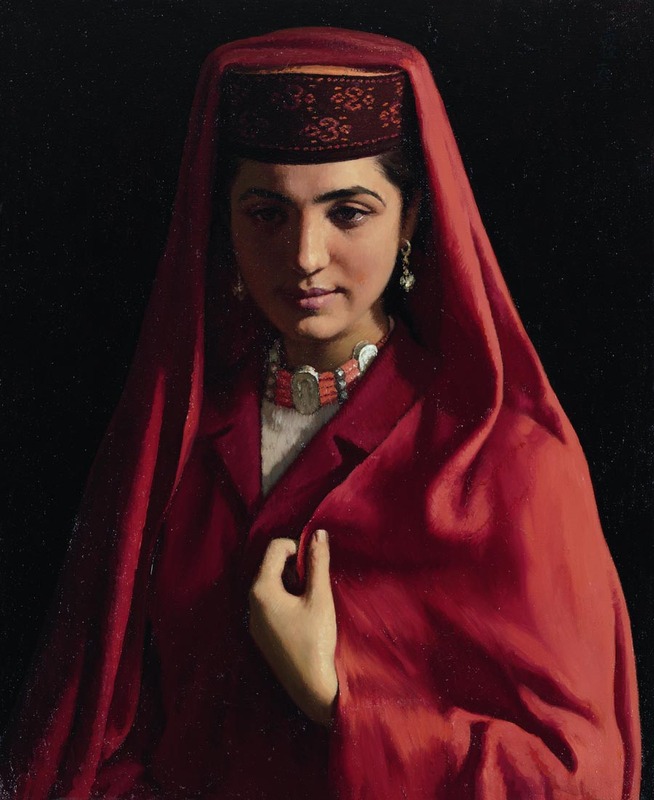 One of the works on show is called Tajik Bride, and in it Jin portrays an ethnic Tajik woman dressed in a wedding outfit. He did the painting in 1983, based on the sketches he prepared when traveling in 1981 in the Xinjing Uygur autonomous region, which is home to the Tajik people. In the painting, his exquisite treatment of the contrast between light and dark－the highlighting of the bride's face and red scarf against a dark background－shows the influence of classical European paintings he saw at museums that he visited while in the United States for a year in 1982. Tajik Bride is one of his most famous works and is like that of Luo Zhongli's Father, which is also part of the collection of the National Art Museum of China. Speaking about the work, Jin says what makes this painting eye-catching is that it "offers a feeling of peace, harmony, nobility and purity". Jin produced two identical paintings of Tajik Bride and the other one was at an exhibition of Chinese oil paintings in Japan over 1983-84. It was later acquired by a Japanese collector and in 2013, it was sold at a Beijing auction for 85 million yuan ($12.67 million). Besides painting ordinary people, Jin also depicts historic figures as a tribute to Chinese cultural traditions. The current exhibition has Bada Shanren, a painting Jin did in 2006 for his second exhibition at the National Art Museum of China. He says it was a "painstaking" process to complete the work as he experimented a great deal to capture the simple, unworldly sides of Bada Shanren (born as Zhu Da), one of the greatest classic Chinese painters and calligraphers of the 17th century who lived his life in chaos and solitude. In the work, he arranges different shades of gray for the painter's gown, the rock he sits on, and the water and the sky to depict Qingyunpu in Nanchang, where Bada Shanren once lived. 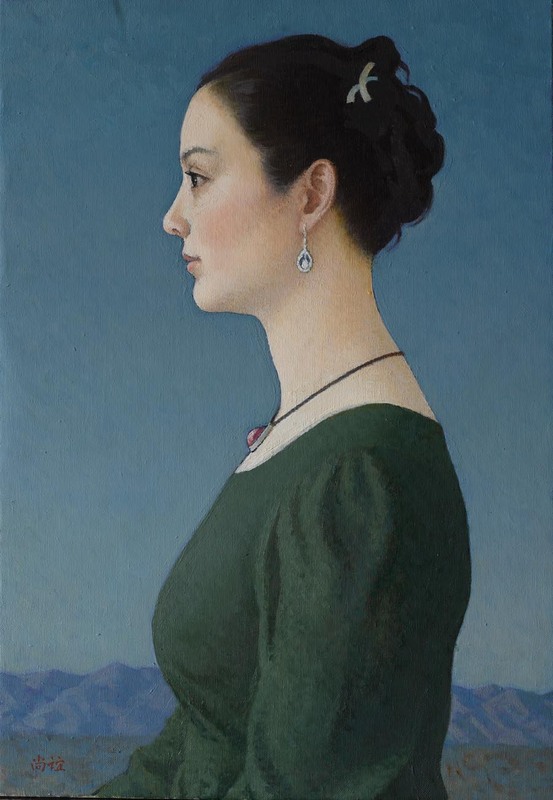 Wu Weishan, the director of the National Art Museum of China, says the painting of Bada Shanren transmits the loneliness and distance in his character, and also the poetry and serenity of Chinese aesthetics. 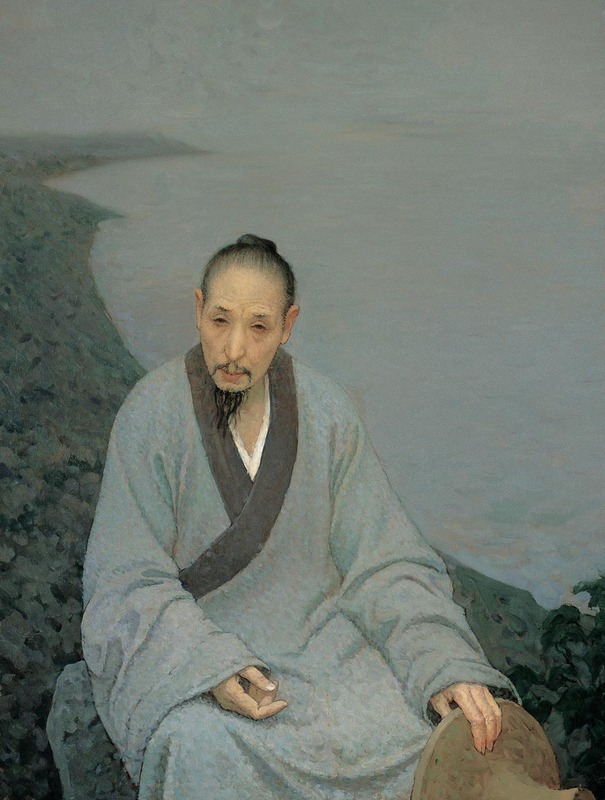 "One can see in this painting the temperament of a typical Chinese intellectual hidden inside Jin," Wu says. It has taken decades for Jin to evolve from a teenage art student, who once came last in a sketching test, into a mature painter who also educated several generations of Chinese artists. Jin taught in and headed the Central Academy of Fine Arts in Beijing from the 1950s to 2001. 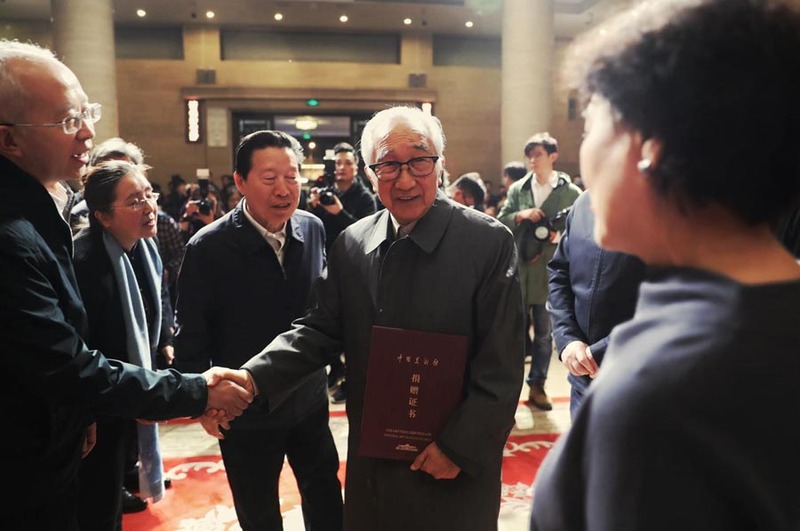 Speaking about Jin's contribution, Fan Di'an, head of the Central Academy of Fine Arts, says: "He is quite sensitive to the developments in international art education, and insightful about the needs of Chinese society. So, he established the design and architecture departments. And he always visits the graduates' exhibitions." Jin is still critical of himself. And some of the works shown in the current exhibitions have his own comments. 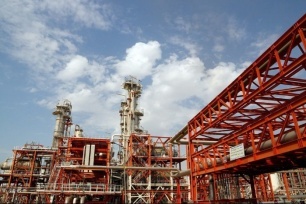 For Tajik Bride, Jin says: "There is still room of technical progress. Young painters today do better than this." 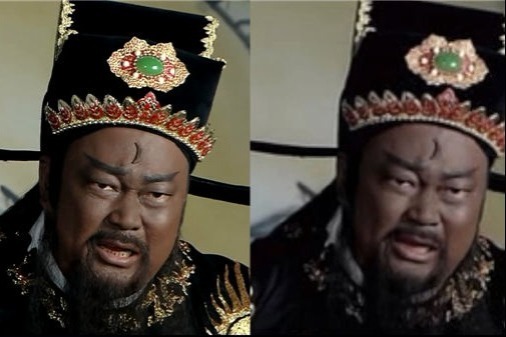 And as for Bada Shanren, Jin says he was "not relaxed enough and therefore the brushwork was not smooth".